Kim Jong Un has ordered that men in North Korea sport the same haircut as their dear leader. 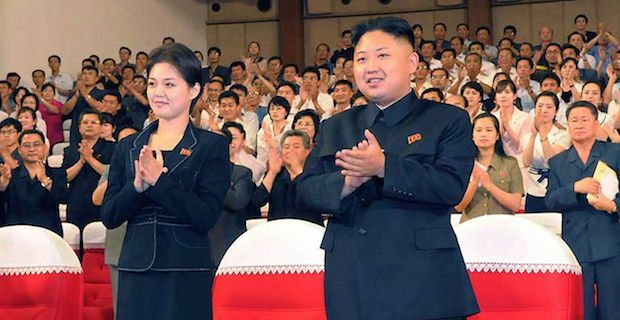 It may seem like a bizarre decree but it is not that outside the normal realm for North Korean's under the Kim family. It seems that haircuts have been carefully selected in the Hermit Kingdom for many years now. Men can choose from 10 state approved styles while women have a bit more choice with 18 styles in total to choose from. All the approved styles were selected to carefully foster more socialist spirit. Early reports emerging from North Korea suggest that all males attending university will be required to adapt the Kim Jong Un style immediately. It is thought that the decree may be relaxed to men outside university though and the Kim Jong Un may just be added as another state approved hair style for men. The move is unlikely to be welcomed by North Korean citizens though as the hairstyle is locally known as a "Chinese smuggler's haircut". If it is the case that the style will just be another option on the list of approved male haircuts, then it may not prove to be the most popular haircut around. Kim Jong Un has surprisingly been out of the news lately after a hectic transitional period since he took over from his father Kim Jong Il in late 2011. Dennis Rodman visited North Korea in January for Kim's birthday where the former NBA star sang Happy Birthday to Kim in the cringiest of manners.